Talk all you want about ASAP here. 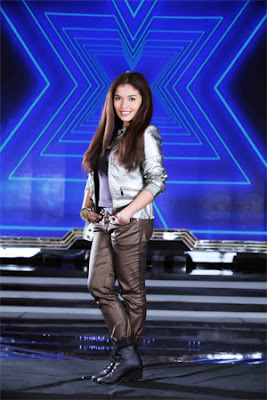 "The X Factor Philippines" grand winner KZ Tandingan is now part of the weekly musical show "ASAP 2012." Last Sunday, Tandingan was welcomed by "ASAP" artists including "Pinoy Dream Academy" winner Yeng Constantino and "Pilipinas Got Talent" champion Jovit Baldivino as they performed Leon Russell's "Superstar," which the Digos native sang during the competition. "Salamat po sa sobrang warm na welcome, kinabahan ako kanina," Tandingan told "ASAP" co-host Angeline Quinto, who was also a product of a TV singing contest. Later that Sunday, Tandingan along with the other "X Factor" finalists launched their album at Eastwood in Libis, Quezon City. Matapos ang kanyang mga trending revelation sa Twitter, sa "ASAP 2012" naman magpapasabog ng kagandahan at kilig ang Kapamilya actress na si Angelica Panganiban kasama ang co-stars niya sa pinakaaabangang 20th anniversary movie ng Star Magic na "24/7 In Love" na sina Kim Chiu, Gerald Anderson, Maja Salvador, Sam Milby, Pokwang, Zanjoe Marudo, Kathryn Bernardo, Daniel Padilla, at Piolo Pascual. Bukod sa engrandeng pagbisita ng mga naglalakihang bituin ng "24/7 In Love," sunod-sunod pang selebrasyon ang tiyak na ikasisiya ng TV viewers ngayong Linggo kabilang na ang grand launch ng pinakabagong album ni Mr. Pure Energy Gary Valenciano kasama ang "X Factor Philippines" finalist na AKA Jam; paggawad ng platinum record award sa Prince of Pop na si Erik Santos; at ang espesyal na birthday bash ng "Ina Kapatid Anak" lead star na si Enchong Dee. Saksihan ang isa na namang mind-blowing performance ng ultimate multimedia star na si Toni Gonzaga sa kanyang 'T-Zone' segment; na susundan ng makatindig-balahibong musical spectacle na ihahatid nina Martin Nievera, ZsaZsa Padilla, Vina Morales, Jed Madela, Nikki Gil, Jericho Rosales, Daddy's Home, at ASAP Poppables na sina Gerald, Enchong, Xian Lim, at Rayver Cruz. 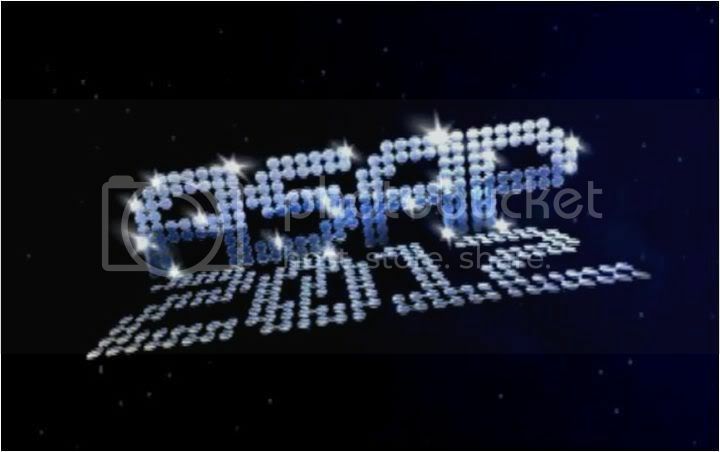 Abangan din sa "ASAP 2012" centerstage ang back-to-back concert experience na ihahandog ng ASAP Pinoy Champs na sina Yeng Constantino, Jovit Baldivino, Marcelito Pomoy, KZ Tandingan at Angeline Quinto; at ng ASAP Covers na sina Aiza Seguerra, JM de Guzman, Zia Quizon, Paolo Valenciano, at Sam Milby. Samantala, tiyak na mai-in love naman ang lahat sa makapigil-hiningang ASAP Supahdance treat nina KC Concepcion, Cristine Reyes, Billy Crawford, John Prats, Erich Gonzales, Empress, at Iya Villania. Makikanta, makisayaw, makisaya at maki-showdown sa "ASAP 2012" ngayong Linggo, 12:15 ng hapon sa ABS-CBN. Para sa updates, pictures at tsansang maka-hang out nang live ang stars ng ASAP Chill-Out, bumisita lamang sahttp://asap.abs-cbn.com/, sundan ang @ASAPOFFICIAL sa Twitter, o i-'like' anghttp://facebook.com/asapofficial. Martin Nievera is celebrating 30 years in the music business this year. It was way back in 1982 when this boy from Hawaii, son of the much admired balladeer Bert Nievera, came home to the Philippines and became the hottest discovery of the year. Getting to the top was easy. He could really sing and was a natural for recording and the concert stage. He also had a gift of gab that would open the doors of television talk shows for him. Maybe we would, too, if we were deprived of the songs of Martin. What would it be like if you have never had a heart aflutter to the tune of Be My Lady or basked in the love of You Are My Song or wallowed in heartbreak with Ikaw Lang Ang Mamahalin? Maybe that is why he is still around. Also, admit it, they don’t make them like him anymore. Can you name somebody who came along during these past 30 years who became his equal or whose success came close to his? One or two nearly did but have now fizzled out. So this means we will be stuck with Martin for many more years. No one is complaining. Not the girls, Sharon Cuneta or Sarah Geronimo who both like singing with him. Some boys, too, like his contemporary, Gary Valenciano or Side A’s Joey Generoso. Not the X Factor kids like Kedebon Colim or Jeric Medina whom he has chosen to continue mentoring up to now after the show is over. Not me or his other fans. This is because Martin is one pop star who has never taken his success for granted. What I appreciate most about Martin is how he never takes his career for granted. He makes sure he attends and sings his heart out in all his promo gigs. Fans get their fill not only of his songs but also of pictures and autographs. He is one of the few who comes to appointments on time and who makes sure that he looks and sounds good. Most of all, although his singing style is the sort that will serve him well up to when he is 70 or 80 years old he has not ceased experimenting with his music. 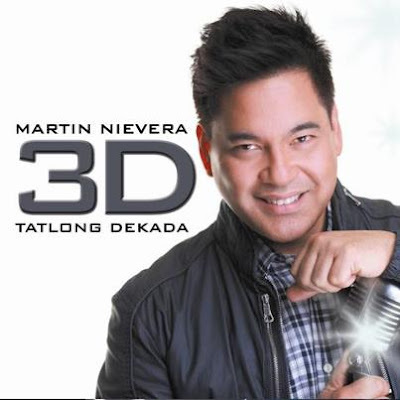 Martin Nievera 3D Tatlong Dekada is a good example. A Martin album is easy to do. You can take any nice song. He will sing it and it will sound great. And he can keep doing this for ages and will continue to sell. This time around though, he decided to sing a lot of originals. A risky move for these hard times but he wants to do more songs by Filipino writers. Then aside from the usual power ballads, he threw in club beats that echo Enrique Iglesias, Far Away and Taken, that people can dance to. Very nice. This is something that he can explore more in future releases. But of course, the cuts to die for are the ballads which Martin does so well. Standouts are Wala Nang Magagawa which is oozing with massive airplay, Carry On, which is so encouraging and Only In My Dreams which is simply beautiful. The CD also has Magic, Ipadarama, Panaginip, After All This Time, Are We Really Praying, Pangarap Ko Ay Magpakailanman, Ikaw Kailanman, On My Own Again, Pangako, Pag-ibig Ko’y Ikaw, After All a duet with Vina Morales and the Paul Anka classic, Times Of Your Life. Then because this is a special release commemorating three decades of hits, there is a bonus DVD with videos of some of his hits. Iisa Pa Lamang, You’re All I Need, Maybe This Time, Pasko Na Sinta Ko, Hard Habit To Break, Right Here Waiting, When I Met You, Goodbye (a duet with Pops Fernandez), Just The Way You Are, Times Of Your Life, Never Say Goodbye, Hanggang Ngayon, The Promise, You Are My Song and You’re My Everything. "26th PMPC STAR AWARDS FOR TV"
I love watching ASAP 2012 on Sundays because I get to see my favorite Kapamilya celebrities all on one stage! I like to see what they're wearing, their accessories, their make up etc. Most especially Kim Chiu and Anne Curtis! Nice you enjoy ASAP as much as we all do. Gotta love Kim and Anne. “ASAP 2012” is all set for a grand victory party this Sunday (November 25) as ABS-CBN’s noontime musical variety show recently won in the 26th PMPC Star Awards for TV as Best Best Musical/Variety Show, and its hosts Billy Crawford and Toni Gonzaga won as Best Male and Female TV Host. The celebration continues as ASAP Kapamilya throws a royal send-off party for Bb. Pilipinas Universe Janine Tugonon, who will fly to Las Vegas to prepare for the Ms. Universe pageant in December. Aside from the royal farewell for Janine, back-to-back jaw-dropping musical performances will surely reign in ASAP centerstage with the hair-raising vocal act of ballet musical “Rama Hari” lead stars Christian Bautista and Karylle together with Maestro Ryan Cayabyab and Ballet Philippines; and the must-see rock collaboration of Bamboo, Gloc 9, Jet Pangan, Wency Cornejo, and Parokya ni Edgar. Get ready for a string of special surprises as Kapamilya teen stars Ella Cruz, Miles Ocampo, Jerome Ponce, Karen Reyes, Ryan Boyce, and Tippy dos Santos treat everyone with a special production number. 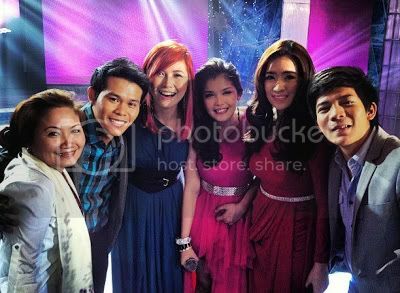 “ASAP 2012” continues the non-stop celebrations with the platinum record awarding to birthday girl Angeline Quinto; and the birthday bash of Kapamilya hunk Ejay Falcon together with his love team partner Empress. Meanwhile, witness the greatness of Filipinos in another world-class concert experience from Gary Valenciano, ZsaZsa Padilla, Sam Milby, Erik Santos, Jed Madela, Nikki Gil, Jericho Rosales. Don’t miss “ASAP 2012” this Sunday, 12:15 noon, on ABS-CBN. For updates, photos and to hang out live with the stars at ASAP Chill-Out, simply visit http://asap.abs-cbn.com/ , follow @ASAPOFFICIAL on Twitter, or ‘like’ http://facebook.com/asapofficial.